Herbie has been bonded with Lola & is now rehomed. Herbie came into rescue in June 2014 as he did not bond with his companion. He was born in Jan 2013. He is neutered, vaccinated & microchipped. Herbie is quite a small bunny, who is relatively easy to handle. 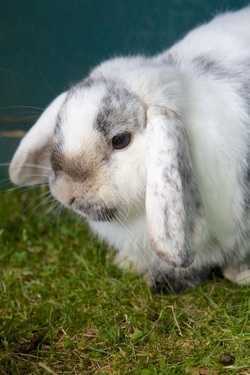 We are looking to re-home Herbie with a neutered female bun. Photos courtesy of Amy Johnson.